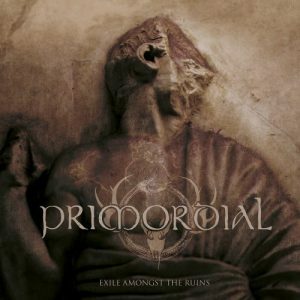 Almost 30 years and 8 studio albums later, Irish powerhouse Primordial is back yet again! 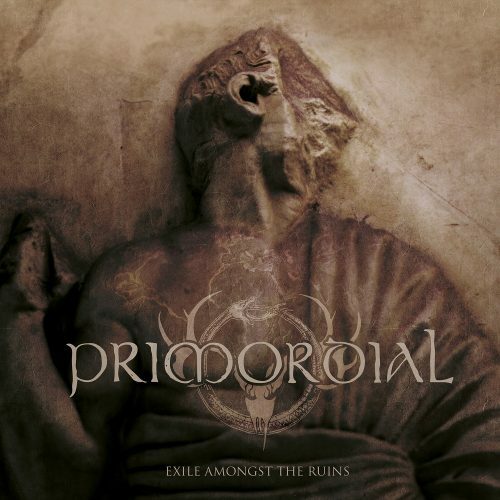 30th of March will see the release of the band’s new album, ‘Exile Amongst The Ruins’. As is with every release from these gentlemen, there are a few things that you have to expect. It’s the ultimate honesty of their material, it’s unprecedented energy and uncompromising nature behind it and the signature sound of the band. The new album maintains all those qualities while exploring new directions, both musically and lyrically. The first minute of the opening track, ‘Nail Their Tongues’, qualifies as Primordial sound fans know. But, as the track develops, it becomes evident the band doesn’t go the easy way, reusing the old tricks. The track is raw-sounding and somewhat simplistic, it slow-burns for a while. It’s not your typical battle hymn, but more of an atmospheric track, that can set the mood of the album. ’To Hell or The Hangman’ follows and delivers hugely, picking up some speed and developing around a catchy core riff and trademark vocals of A.A.Nemtheanga. And then suddenly things slow down and we are presented with ‘Where Lie The Gods’, almost doom metal ode, exploring the diversity of guitars and depth of emotions. The title track is next, and yet again we’re presented with a sort of a stripped-down sound and strong poetry, telling the story of war’s ugliness and all the victims and ghosts it leaves behind it. It’s a martial hymn of the album, quite Primoridal-esque in its intensity. Rumbling ‘Upon Out Spiritual Deathbed’ passes by on whiff and we’re well past the midpoint of the album. Things are heating up and to listener’s surprise, comes the track ’Stolen Years’, a somber ponderous ballad, sorrow, but beautiful in its own right, making the listeners live through the turmoil of it all.